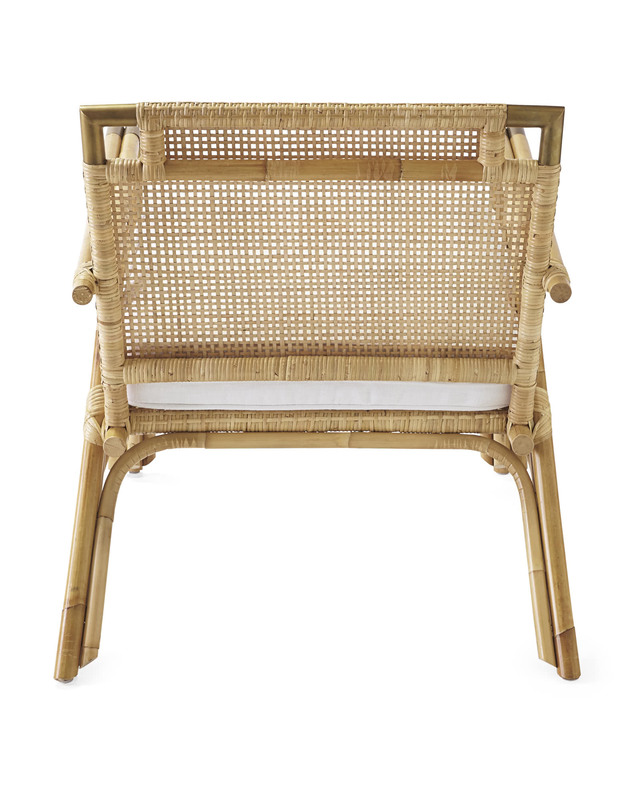 Mattituck ArmchairMattituck Armchair, alt="Mattituck Armchair, "
Print We love this chair for its simplicity and restraint. 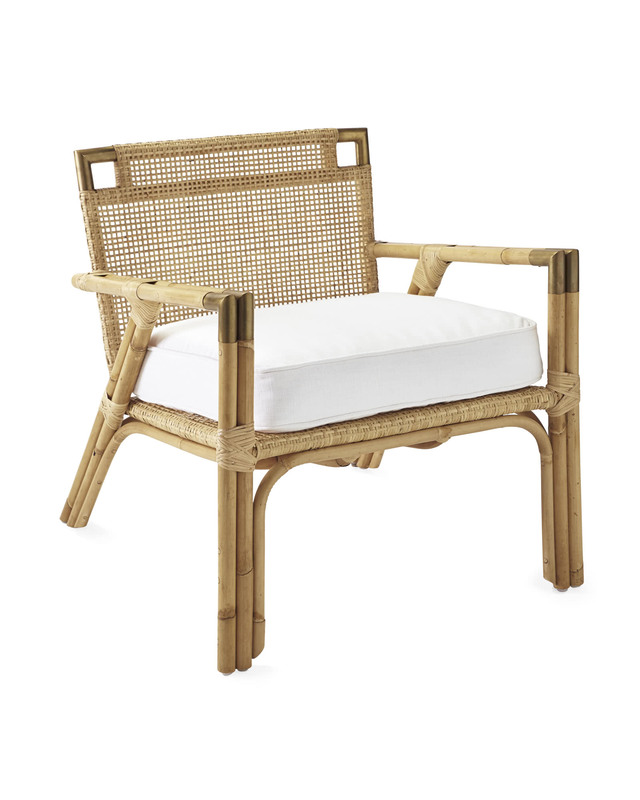 Crafted of natural rattan with brass accents that add an air of refinement, it’s the perfect blend of polished and relaxed. 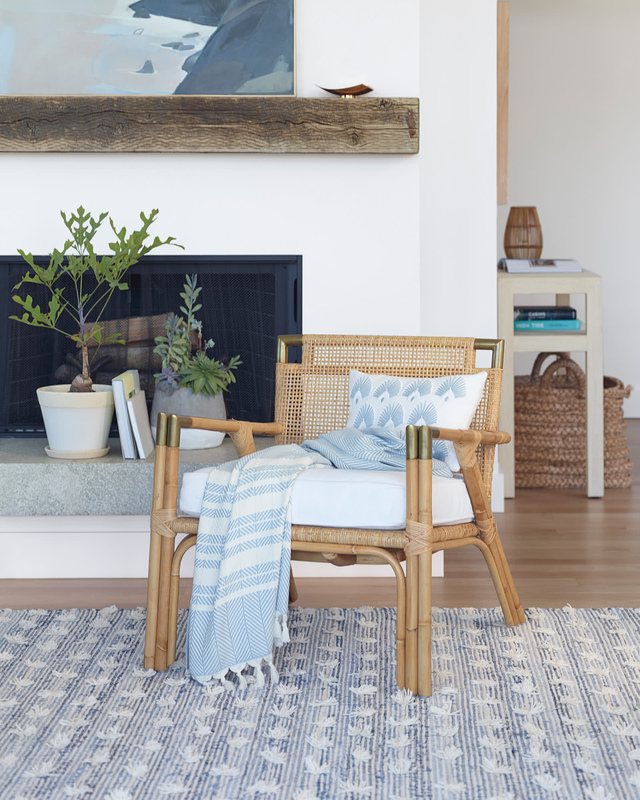 A slim silhouette makes it great for smaller spaces, and the cozy cushion lets you liven things up with color and pattern. 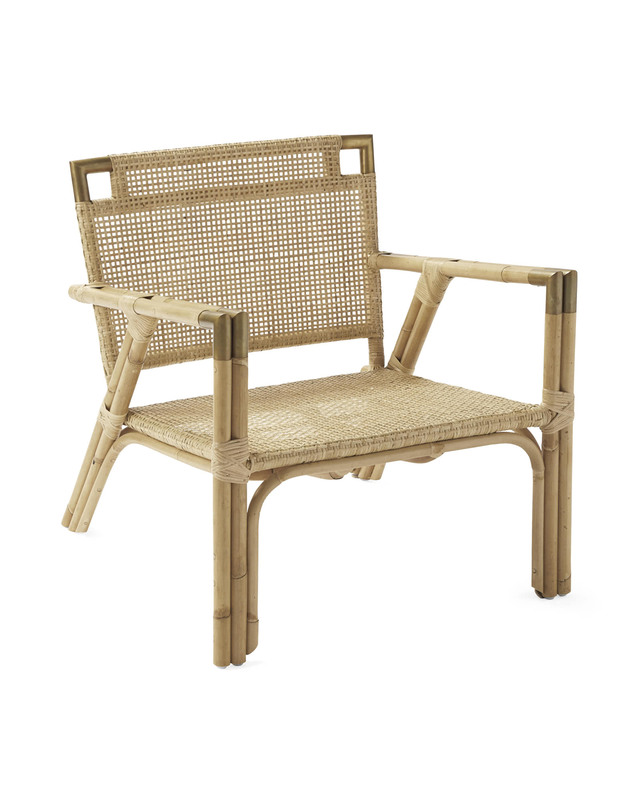 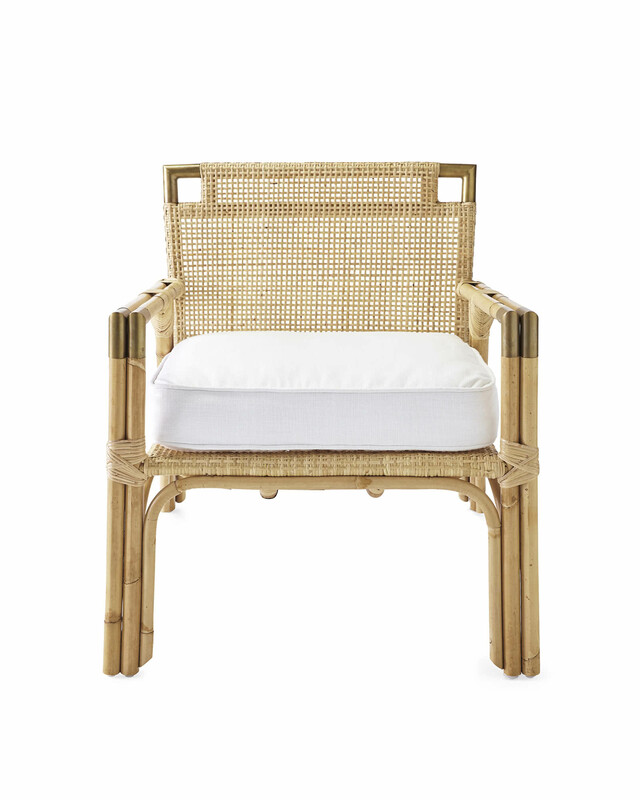 Handcrafted of natural rattan with brass accents. 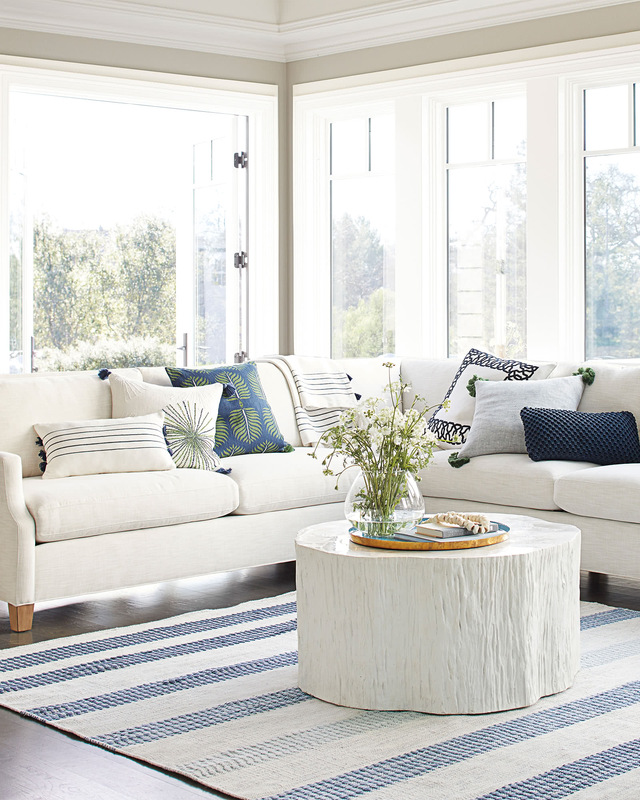 Removable cushion covers in various fabrics, including a selection of curated cottons and Perennials® Performance Fabric. 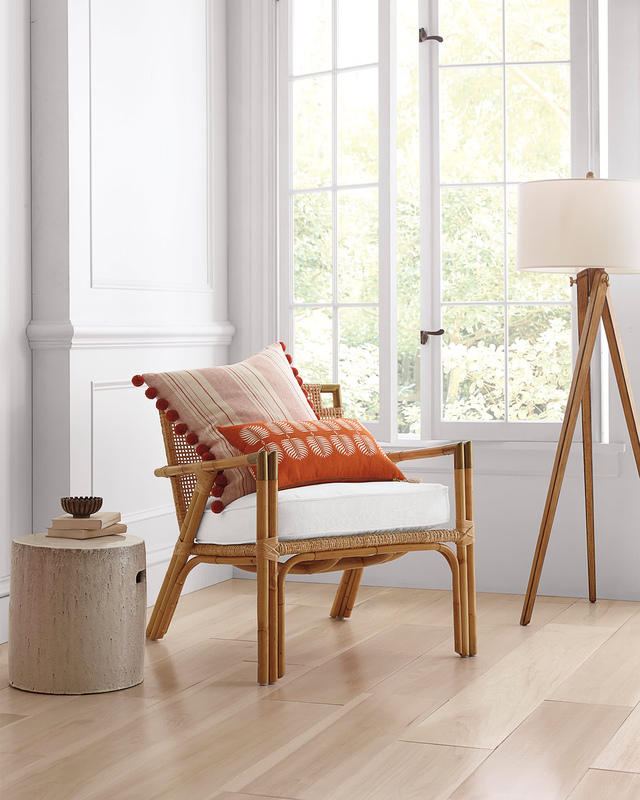 29.5”W x 31.5”D x 30”H.